Aoléon and Gilbert are entrusted with a mission from PAX, leader of the Martian resistance movement. He wants them to investigate the Luminon of Mars whom he suspects is planning an invasion of Earth to steal its milk cows. Gilbert has an encounter with the Luminess (the mate of the Luminon) and discovers something strange about her. The undercover duo is chased by the Royal Paladin Guard. At Aoléon’s home, Gilbert meets Aoléon’s sister Una, mother Phobos and father Deimos as well as her overzealous pet, Zoot. He is also introduced to Bizwat, a covert operator and Procyon commando, who uses his Saturn Pizza delivery job as a cover. Gilbert then gets to visit Aoléon’s school, the Martian Space Academy, where he encounters Aoléon’s nemesis, Charm Lepton, and her friend Quarkina. While there, he attends a history lecture on the Martian people by Plutarch Xenocrates. After class, Gilbert and Aoléon experience intense training in zero-G, and Gilbert is treated to a psi-ball match between the Martian Space Academy and Martian Science Academy. Join Gilbert and Aoléon in this exciting middle-grade science fiction adventure book! Note: This sci-fi book is part 2 of 5. 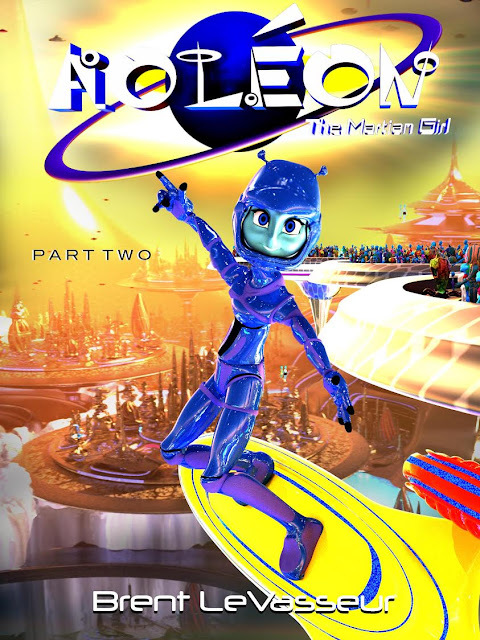 If you have not read Aoleon The Martian Girl - Science Fiction Book Saga - Part 1 First Contact, please read it first! The ending wasn't the greatest, but I liked the story. A lot. 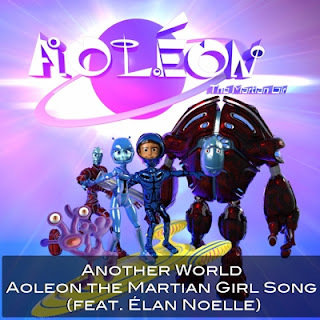 Aoléon has taken Gilbert home to her planet, and things get very interesting from there. The food, school to fun activities, Gilbert learns all about life on Mars. It's kinda neat when the sports she plays happens. It reminded me of the sport in the Harry Potter series. I look forward to seeing what happens in Part 3. Aoléon has been asked to do something, and whether she will or not remains to be seen. The answer is surely intriguing me though. Again, I love the accompanying digital art. It helps to visualize the world they are in. This is just a really great, put together book, though Part 1 was slightly more exciting. **Compensation is received for posting. Compensation will be earned if purchases are made from the links within. An ecopy was provided to facilitate a review. Opinions are owned by this site. Yeah. You enjoyed this one too. Isn't this series "out of this world!" LOL I love the vivid illustrations and the characters and.....!